LeBron James Declined His Player Option…So Now What? LeBron James spent the last four years in Cleveland, but his days as a Cavalier could be numbered. James opted out of his player option, effectively making him an unrestricted free agent. As basketball's offseason heats up, there's one question on everyone's mind: where will LeBron find himself? The four-time MVP is the headliner of a major free agency class. Other big names include Paul George, DeMarcus Cousins, and Chris Paul. James signed a three-year deal in 2016, with a player option for the third year. That final year was the option James declined. He would have made $35.6 million this upcoming season. Instead, he has his pick of teams around the league. That includes the Cavaliers, who can offer more money than anyone else. Cleveland can offer a deal worth about $205 million over five years. All other teams can offer a max deal of four years and $152 million. The frontrunners to land James include the Los Angeles Lakers, Philadelphia 76ers, and Houston Rockets. 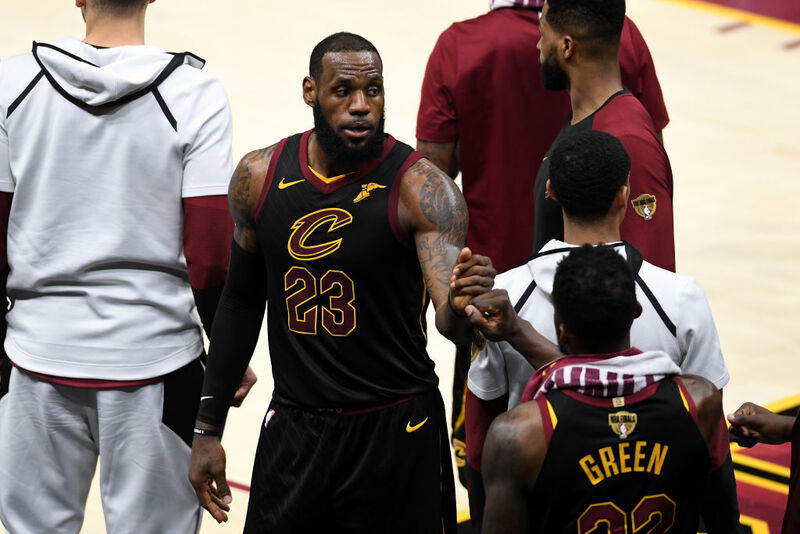 However, LeBron's options may be more limited than they seem, because they typically rely on convincing another player to join him. For example, Chris Paul is close to signing a max deal with the Rockets, leaving Houston with limited financial flexibility to bring LeBron over. Rockets GM Daryl Morey has shown immense creativity in acquiring players before, but this move might be too complex even for him. Meanwhile, the Lakers would likely need to land another superstar to lure LeBron. And with rumors that George might actually remain with the Thunder instead of going to his hometown Lakers, the ripple effect may find its way to LeBron. The Lakers are also looking at trading for Kawhi Leonard, which could sway James. Unfortunately for L.A., the Spurs hold all the bargaining power in any deal. Leonard isn't a free agent until next season, so San Antonio is in no rush to trade for him. If the Lakers can't land Leonard, their current roster as it stands isn't enough to compete for a championship. The Sixers are looking into trading for Leonard, too. They'd lose a few of their supporting pieces, but a trio of Ben Simmons, Joel Embiid, and Kawhi Leonard would be formidable. If the Sixers make that trade, they probably wouldn't be able to add James, as well. While the common belief is that James will sign a long-term deal, he could do the same thing he's been doing since rejoining the Cavs. With the salary cap continuing to rise, LeBron could sign a one-year contract instead. If he goes that route, he'll make $35.4 million this year, with an option for $38.2 million next season. No matter the final outcome, the LeBron sweepstakes will have consequences felt throughout the league. It's going to be a fascinating summer. LeBron James went on to explain that all he can do is hope that this "blueprint" gives his kids the opportunity to succeed, in whatever they try to do. LeBron James isn't planning on retiring anytime soon. But when he does, he could look into buying his former team.